"These are for you — gifts — these are for you — grace — these are for you — God, so count the ways HE loves, a thousand, more, never stop, that when you wake in the morning you can't help turn humbly to the east, unfold your hand to the heavens, and though you tremble and though you wonder, though the world is ugly, it is beautiful, and you can slow and you can trust and you can receive each moment as grace. Eurcharisteo. Eucharisteo. Eucharisteo." I'm doing the happy dance over sharing my friend Satin of My Heart, His Word with you. She is a sweetheart and soon (very soon) I will meet her in REAL LIFE. I just love when writing friends become in real life friends. I've only known Satin for a few months but our friendship has blossomed quickly. I adore her and can't wait to give her a hug. Me: What do you enjoy most about Three Word Wednesday? Satin: I love the community that comes with Three Word Wednesday. Having a place to come on Wednesday's and share my heart with a community of people doing the same thing, is pretty amazing. Encouraging each other, sharing what God is doing in our lives — it's a gift and something I look forward to weekly! Satin: At the moment, I think the one thing that inspires me the most is watching God move in mighty ways, through my obedience. Watching Him take the impossible and make it possible, turn ashes to beauty and bring life to seemingly dead circumstances is inspiring. I'm inspired to live each day to the fullest, trusting God as He leads me along this journey. I am daily reminded of my need for Him and His keen ability to meet me right where I am! "Here’s to the girl who never thought she had a voice…" ~ Here's to You, by Lauren of Marked By Grace // Another one of those posts you just need to read. It's beautiful! "I have a choice. I can cooperate with the grace of joy that fills me, or ignore it. How I choose will not only make my life a dance, but it can also bubble over to everyone I meet." ~ The Grace of Joy, by Ceil Ryan // My heart is won over when one talks about my one word JOY. "We need to decide whose opinion of us ultimately counts, because a multitude of sources will tell us what we should do or how much we should weigh to be beautiful or accepted. But Jesus’ opinion saves, forgives, and sets us free." ~ Whose opinion counts? by Tracy of One Degree Ministries // Jesus' opinion is the only one that counts! "Don’t change just to be someone else. Be your beautiful, unique you." ~ Cut from the same cloth – embrace your uniqueness, by Amelia Rhodes // Let's embrace our uniqueness, shall we? "And I’m not a people person. At all. I struggle with small talk. It actually makes me sweat. I can carry on a four-hour conversation about something that touches me deeply, but put me in a room where I need to converse casually and there is suddenly not a thought in my head. Not one." ~ The Currency of Zero, by Cindee of Breathe Deeply // Cindee appears again this week as one of my favorite reads. "Whether you are dreaming of world change or a silly bicycle, there are four types of dreams — Those that are fulfilled, those that are delayed, those that are denied, and those that are suppressed." ~ Where Did That Dreamer Go–Because We Need You, by David Rupert via Outside the City Gate // May your dreams become fulfilled dreams! "Over and over again, my fellow speakers shared stories of our God who sees and knows us better than anyone else has or ever will. Stories of God showing up and showing off His great love for us in ways only He can. The way He uses clouds and running and notebooks to say, 'I see you. I love you.'" ~ A Gift from the One Who Sees Me, by Erin of Home with the Boys // A truly beautiful God story. Jennifer of Scribbling Fresh Words gives you 39 ways! Read them here. She just turned 39 too! She posted a message on Facebook wall on Tuesday saying, "This week? Appetizers? I will make it work. YOU pick the day and time!" And on Thursday we met for dinner. What a delight it was to finally meet my online friend Angie Ryg and to now be in real life friends. .
What do you long for? Watch this video by that pastor and author I admire, Pete Wilson. I highly recommend reading his book Let Hope In. I cannot help myself—this kid is adorable. If you are in need of a pep-talk be sure to watch. Actually, you should watch no matter. A beautiful joy-filled song shared with me by my #milspouse friend Anna. You're the center of my joy "
#215 ~ Friends who get you. #227 ~ For failures because they have taught me how much I need him. #233 ~ News from my son that he was hired as a full-time chef. Yippee!! I agree. Step aside winter. Say hello spring. There are other reasons for my weariness though, besides the lack of sun and warmth. My husband is currently away serving our country in harm’s way. It’s hard—very hard. I miss him constantly. God also laid it on my heart to give up my eating disorder for lent. Refraining from my eating disorder behaviors comes with anxiety. There are times the anxiety has me wanting to crawl out of my own skin. It’s a sensation hard to explain. I have previously tried to let go of my eating disorder—multiple times in fact. There were one or two times I went longer than the five weeks it has now been. The day eventually came when temptation won and I failed. Satan convinced me I’m anything but beautiful and I succumbed to the ever so momentary comfort found in the behaviors of my eating disorder. It has been a cycle of seeking comfort in anything other than Christ. What makes me think this time will be any different from the previous attempts? I don’t even have the strength of my husband to rely on. If anything, my husband being away makes the behaviors easier. I believe God has been preparing for such a time as this (Esther 4:14). Just like Jesus taught His disciples to think differently about life, He needed to teach me to think differently. And failure was part of the learning process. My previous attempts and failures taught me how much I need Him. If I did not fail there would be no reason to go running to Him for help. Failing brought me to my hands and knees in complete surrender saying, "I need you." Failing taught me lasting comfort can only be found in Him. 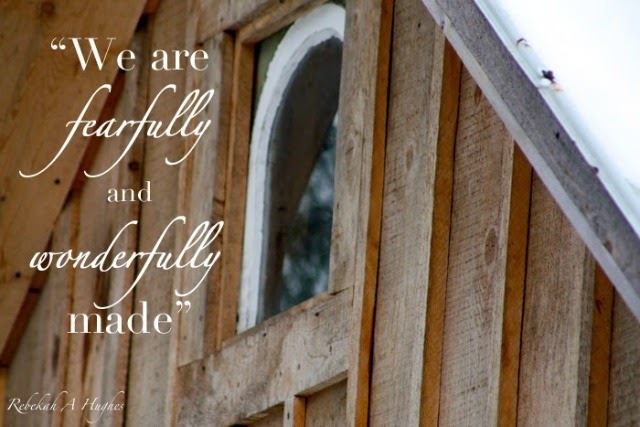 Lysa Terkeurst writes in her book Made to Crave, "God created us—with a longing to be filled. It’s a longing God instilled to draw us into deep intimacy with Him." She says "…food was never meant to fulfill the deepest places of our hearts reserved for God alone. Not on the good days. Not on the bad days. And not even on the stinkin’, rotten, horrible no good days." 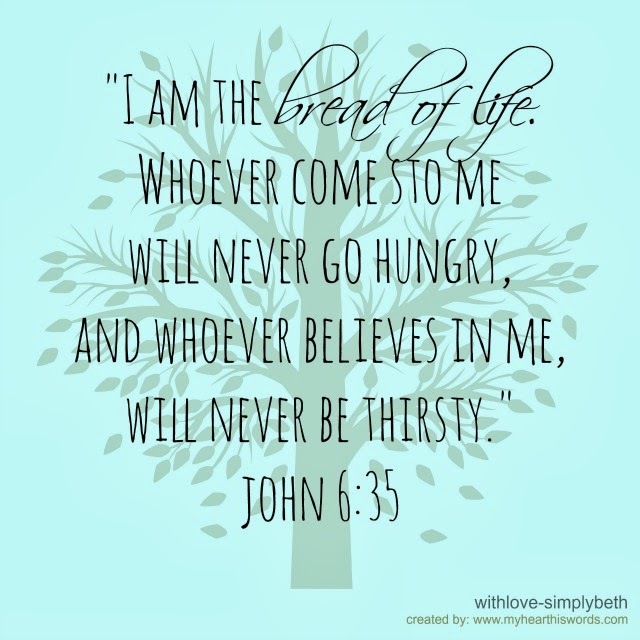 In John 6:35, Jesus says, "I am the bread of life. Whoever comes to me will never go hungry, and whoever believes in me will never be thirsty." Obviously, I need the nourishment of food to sustain my physical life. The eating disorder behaviors need to stop. Jesus was not talking about physical bread though. He was telling His disciples to stop worrying about their physical needs—He would give them everything they need. The word “eventually” caught my attention. As I shared earlier, Jesus needed to teach me to think differently before I was ready and willing to let go of my eating disorder and come running to Him for help. And He has been teaching me. He teaches me through time in scripture, prayer and worship. This time of learning has taught me to trust in Him and fostered a more intimate relationship. I've learned how He does hold on and never let’s go. Because He is with me, I can accomplish the will of the One who sent Him. God’s will for me is to find freedom from that which keeps me from fully unwrapping His love for me. God has prepared me for such a time as this. I have Christ—the bread of life. "I turn my hand over, spread my fingers open. I receive grace. And through me, grace could flow on. Like a cycle of water in continuous movement, grace is meant to fall, a rain...again, again, again. I could share the grace, multiply the joy, extend the table of the of the feast, enlarge the paradise of His presence. I am blessed. I can bless. A life contemplating the blessings of Christ becomes life acting the love of Christ." This will surely be a monthly thing because I'm not doing very well with featuring someone every week. I'm hoping to share another fabulous writer with you next week. "Your broken and small are big and mighty in the hand of Christ. 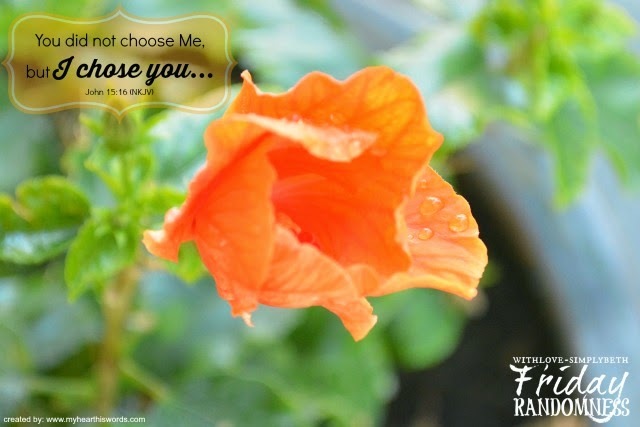 You are salt that brings forth the richness of Christ into a hurting world.." ~ Why A Small Life Doesn't Mean Useless, by Diane Bailey // Oh, how I loved this post! "Choosing love is always a success in God’s eyes–no matter the outcome or response." ~ A No-Fail Plan for Your New Week, by Holley Gerth // Holley speaks such beautiful truth. We never fail when we choose love. "Then this one lie becomes like a weed in my heart. And it doesn’t need water to grow. In fact, it likes drought." ~ Hope In The Weeds, by Meredith Bernard // But there is hope in the weeds! I'm so glad God led me to Meredith. You may remember I shared one of her posts last week too. She has quickly one my heart. "What if, for one day, Jesus were to become you? What if, for twenty-four hours, Jesus wakes up in your bed, walks in your shoes, lives in your house, assumes your schedule?" ~ A Heart Like Jesus, by Max Lucado // The 40 Days to Easter Devotional series over at FaithGateway is so worth catching up on. I've loved every single post. "Like a vapor disappearing and reappearing, floating aimlessly between here and then and when they see me, they see but for a second and then I’m gone and they’re gone and nothing has changed." ~ For When You’re Different From Others, by Duane Scott // Beautiful, beautiful post! "Yes. Savor the hard stuff. Enter the deep. For that is where treasure lies. Where dross is drained away and love roots deep, where self withers and trust grows, and we learn to abide." ~ Savor the Hard Stuff by Cindee Snider Re // Don't miss this one. A beautiful and moving post by a friend I truly adore. There will be tears. "Take that glint sharp edge of His Word and hack that snake creeping up the back of your neck." ~ The One Thing You Absolutely Must Do Today, by Ann Voskamp // Amen to every word she wrote! 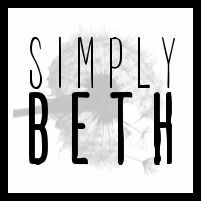 I guest posted over at my friend Rebekah's of A Soft Gentle Voice this week. If you missed the post would you come on over to her place and read here? I've shared Rebekah with you in previous posts and if you have not taken some time to get to know her yet you are missing out on a real gem. Not my husband. LOL. But my friend Elizabeth's husband hijacked her blog and honestly his post is all kinds of loveliness. It's short and oh so sweet. Come read here. 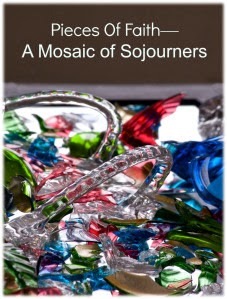 I'm speechless and do not know how to even begin to share with you how humbled I am to be included in an e-Book from the writing team of Outside the City Gate called Pieces of Faith: A Mosaic of Sojourners. Never could I have imagined my name and words appearing in the same book with these writers: Diane Bailey, Amy Breitmann, Tammy Hendricksmeyer, David Rupert, Duane Scott, Nacole Simmons and Kelli Woodford. I'm awe-struck. The book is "a labor of love, a collaboration voices, is not us standing in our Sunday-best, but writers and artists gathering the truthful pieces of ourselves, our stories, and giving them away." You can read more about the book here, here and here and subscribe here. Guest writers from the Circles of Faith community (me being one of them) are sharing how they spend time with God. Come join the discussion here. I'd love to hear how you spend time with God. Psalm 139:14 became my life verse the day I met with my dear friend Michele. I had approached her after church one Sunday. We didn't know each other very well at the time so approaching her to ask if she would meet me for a cup of coffee was a step outside of my comfort zone. 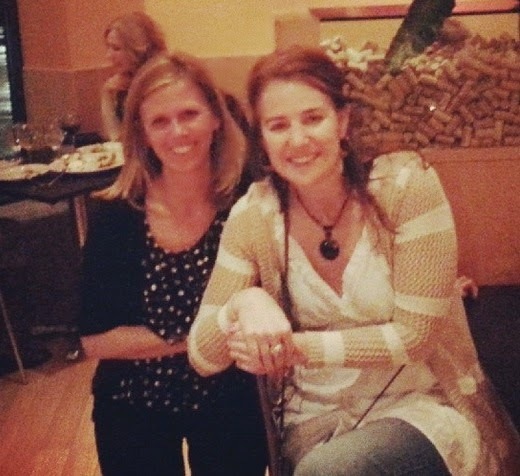 My pastor had urged me to find a spiritual mentor and God nudged me toward Michele. Would you meet me for coffee, Michele? Without hesitation she replied, "Absolutely!" We met at Panera. It didn't take long for her to ask why I had wanted to meet with her. Oh yes, there is a reason. 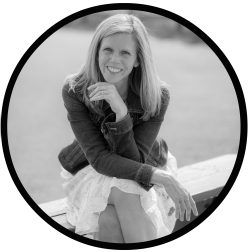 I'm guest posting for "Titus 2 Tips Thursdays" at my friend Rebekah's of A Soft Gentle Voice today. To read more join me there. I have been in a strange place recently when it comes to writing and I’m trying to figure out why. I’m on the hunt for the joy I once found in writing. I cannot say writing has completely lost its joy. I would be lying though if I did not say I’m weary from this writing thing I do. When I first read the quote I thought, “Yes. This.” After another look I stopped at the word fail. Do I really fail if I stop writing? I pondered on it for a bit longer and the word fail simply didn't sit well with me. Maybe there is truth to the first quote I shared. I’m still struggling with the word fail. But what I’m wrestling with is how writing has slowly become, for me, less about writing and more about the other "stuff" that comes with writing. If I’m called to write, could I simply write? I've fallen into the trap of comparing myself to what other writers are doing and I am growing weary over believing what I am doing is not enough. Be on all four social media outlets (Facebook, Twitter, Goggle+ and Pinterest). Like more pages. Follow more people on Twitter. Tweet more. Retweet more. Share more content on Google+. Add more people to your circles. Follow more boards on Pinterest. Add more boards and pins. And if I’m on Pinterest I need to have a pinnable image with every post. When exactly do I write? I do all these things to become bigger; gain more followers – right? To find joy in writing I need to try harder and do more? Do I find more joy the bigger I become? What if I’m okay with being small and want to simply be surprised, and give thanks, for whatever gifts He gives? Like maybe more followers. Have I given thanks for the gifts He has already given me? Like the gift to write. The way to joy . . . Count His graces. Give thanks. Find joy. And as Ann writes, “when we give thanks God responds with greater gifts of grace and even more of Himself.” And in “His presence is fullness of joy” (Psalm 16:11). So I'm saying again, enough with the not-enough’s. I give thanks. I take joy. As for the weariness I feel with the other "stuff" that comes with writing, I'm going to give myself grace. I love the various social media outlets because it allows me to connect with YOU and to share YOUR words. The rest will continue to be a splattering of the words He has put on my heart to share . . . to simply share and not because I think I need to do more to be enough. And I will pray if there is someone who needs encouragement and could quite possibly find comfort through the words I write, that God will lead them here with or without posts, tweets and pins. I give thanks for this gift He has given me to write. "Isn't this the crux of the gospel? The good news that all those living in the land of shadow of death have been birthed into new life, that the transfiguration of a suffering world has already begun. That suffering nourishes grace, and pain and joy are arteries of the same heart -- and mourning and dancing are but movements in His unfinished symphony of beauty. Can I believe the gospel, that God is patiently transfiguring all the notes of my life into the song of His Son?" This was enough to convince me to read Brennan Manning's book next. I'm really, really trying to let God love me, just as I am. "Without a compassionate heart there is no hope for love. Without love there is no hope. "The day the snow started falling, he packed his bags." ~ Duane Scott, For When You Doubt Your Life's Purpose. // I could highlight the entire post but I will let you read on from there. "We need more women who are proud of who they are, not trying to hide something. We need more women who will hold up some kind of sign, as if to say: I am preapproved. I am good, as is. I am done with "not enough." I am done with "too much."" ~ Jennifer Dukes Lee, When You’re Tired of a Photoshopped, Airbrushed, Instagram-Filtered Existence // I'm just in awe of this lady. God is using her to change lives. "I must be beautiful in thought before I am beautiful anywhere else." ~ Lisa-Jo Baker, How to weed out the lie that you are not beautiful // Oh how I pray we can all weed out the lies that we are not beautiful. Get her free e-book, 31 Ways to Brighten Someone's Day, when you subscribe to her blog. You can also follow her here and here. You will find Him here"
Check DaySpring Facebook post here. A nice uplifting message. #179 ~ My husband's words showing up on my computer, "Good morning, my love"
Three Word Wednesday: Grace. Thanksgiving. Joy. For Lent I'm giving up my eating disorder. Obviously, it's not something I plan to pick back up once Lent is over. To find complete freedom from my disorder I'm in need of a transformation of my heart. I need to put an end to the not-worthy's and not-enough's that have infected my heart for so long. As my Executive Pastor preached this past Sunday, "The heart of the problem is a problem with the heart." Thankfully, Jesus specializes in transformations of the heart. I've realized this Lenten journey of mine cannot only be about what I'm giving up. I need to let Christ in so He can do the transformation in my heart that He came to do. For this to happen Christ must become greater and I must become less. Let's face it, when I'm caught up in the not-worthy's and not-enough's, I've made it all about me and not about Him. My plan from the get-go for 2014—more of Christ, less of me. I have two primary goals for the year: 1) read through the Bible for the first time and 2) count my blessings—His gifts—1,000 gifts. More often than I’d like to admit I push these goals to the side. I push Him and time in His word to the side to finish a post, catch up on social media or read other blog posts. Let me do this one thing first and then I will come follow you. Pick up my gratitude journal and pen to write down the blessings found…did I find any today? There is not enough time to do all the things I need want to do. I'm beginning to notice familiar infections taking root in my heart. There I go again with the not-worthy’s and not-enough’s. If I let these infections take root I know where I’m headed. I remember those days all too well—the days of wanting nothing more than to stay in bed. Even though I'm so darn tired, I cannot ignore the pull to sit with Him. So I start over again with my goals. I return to His word even when all I can muster up is lying on my bed while listening to a narrator read God's word to me. By His grace I have been saved. Grace. How do I respond to His amazing grace? I respond to His grace with thanksgiving. 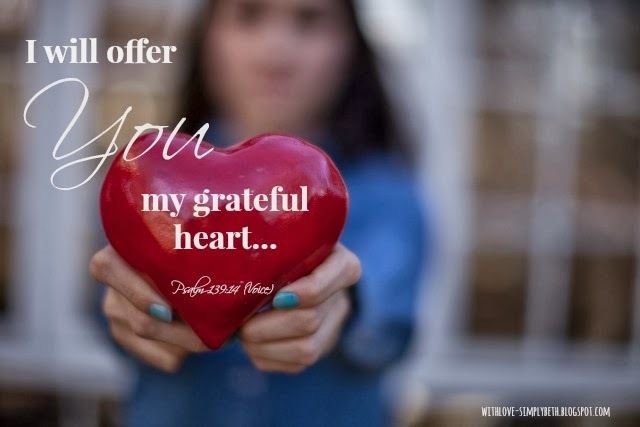 A Greek word…that might make meaning of everything"
Maybe Ann Voskamp is on to something with the counting of His gifts…His graces…and giving thanks. 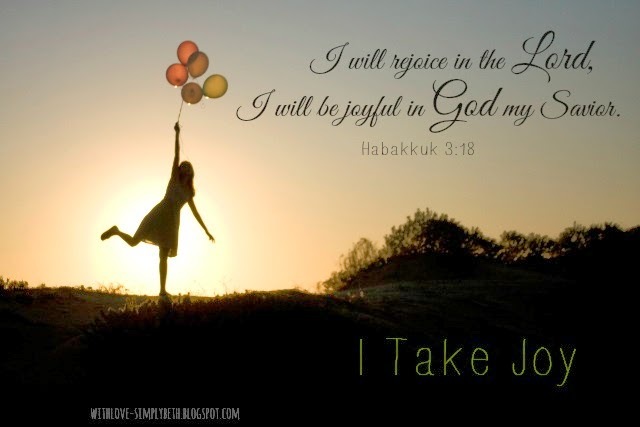 As I count His gifts…give thanks…joy returns to my heart. A transformation of my heart begins. So, yes, I will start over again. No longer will I push God to the side. (Maybe that means there is more I need to give up...those things I put before Him.) I will give thanks, in all things. And in God’s presence I know fullness of joy will be found (Psalm 16:11). God is always good and I am always loved. 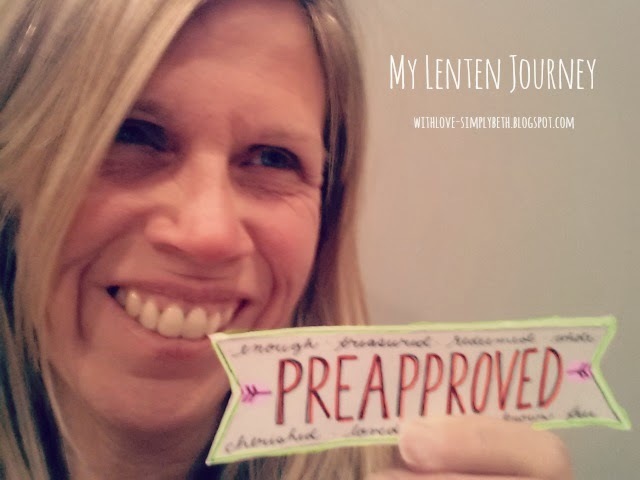 My Lenten Journey: read here if you missed my post. Just read here and here.. She has started something beautiful and God is using her in mighty ways. It's a beautiful thing to watch unfold. "But, deep inside, in my secret heart of hearts, I've always wanted something I could never quite keep a hold of — not long enough to make it my everyday home. For my soul and for the me that wanted to be free. The what-if questions Holly asks in her post are very much on my heart. There are beautiful things on the horizon for Outside the City Gate. Come be a part of this growing community here and here. I'm so blessed to be a part of their Facebook team. What I enjoy most is working with the talented writers/photographers who contribute their images for the weekly Sunday Scripture post, like Lisa, Amanda, Cindee and Nina. Connecting with them and reaching out to potential new contributors brings me great JOY. I drink from the Sweet B mug she gave me every morning and there will be a road trip this summer to visit with her again because it's just a must. If you have not met my friend Lauren of It's A Wilderness Out There...And In Here Too hop over to her place now. The comment I leave after reading her post is usually the same: "You've done it again. I loved, loved, loved this post." My friend Satin of My Heart, His Words has touched my heart multiple times this past week with her encouraging emails. To say thank you to her I thought I'd share her with you. #138 ~ My husband sending home the book Safe in the Shepherds Arms by Max Lucado. It arrived with perfect timing...God's timing. #139 ~ Quiet time at Panera. #141 ~ Friends who check-up on me. #142 ~ My followers who leave loving comments on my posts. I appreciate all of you. #144 ~ A teddy bear from my husband, and a new charm for my Pandora bracelet too. #145 ~ A second new oven. Thankfully this one works! #147 ~ Planting seeds. The Parable of the Sower. #148 ~ Praying for each other and with each other. Honestly, I don’t know much about Lent. I've never participated in Lent because it sounded like another thing for me to fail at. Why then am I feeling led to give this Lent thing a try? Jennifer has written a book and it has captured my heart before even holding in my hands. Her book, Love Idol: Letting go of your need for approval—and seeing yourself through God’s eyes, releases April 1st. Find out more about her book here and join her Love Idol Movement here. "Funny, how we can take God’s greatest gift – love – and turn it into an idol. Funny how we can twist our desire for approval, validation and significance into a false god." I don't know when this feeling of not being worthy of love began. Maybe it started when told I had the intelligence of a dead fish. Other events replay in my head too — all of them feeding on the lie that I am not enough. Mostly, the lies come from my own negative thoughts. Nonetheless, I've spent most of my life looking for validation elsewhere. A friend from church, who has been a mentor to me, asks whenever we meet, "How are you doing, Beth?" She wants to know how I’m doing with letting go of my eating disorder. My answer remains the same as it did the last time she asked. "I’m doing okay." To take away some of the shame of not having a different response I tell her, "It’s better than it was." "What steps are you taking towards freedom, Beth?" Honestly? I’m not taking any steps. I get all tongue–tied when I try to explain why because I know when it comes down to it I’m scared to let go. My identity — my worthiness — has been found in the number appearing on a scale for so long. What’s funny, no matter what the number reads it’s not enough. I still feel unworthy of being loved. Even when at my lowest weight, I did not feel worthy of love. Instead, I found myself lying in the bed of a mental hospital wishing I had the courage to end my life. I've tried to find my worthiness through good works too. I volunteer for everything and anything to the point of exhaustion. It's still not enough. And then there's my writing. I allow the number of page views or comments on a post to determine my worth. Those numbers grow but it's still not enough. I'm looking for validation in all the wrong places. The scale, good works and my writing have become love idols. If you strip away all of it and there was nothing more than who God created me to be, could I believe I was worthy of being loved? I go back to His word...I go back to the beginning. Do I believe God created me? Oh, yes I do. I really do. If I believe He created me the words "it was very good" apply to me too. Do I live my life as though I believe? Let’s be honest. When I look to the number on a scale for approval, I’m not living as though I believe. Continually harming my body by purging does not honor God. If I've already been PreApproved by Him, what am I doing? I've had enough. I’m exhausted from the not-enough’s and not-worthy’s. How do I respond to what He did for me? I’m going to join a whole other group of Jesus-sisters in taking a sledgehammer to my love idols and I’m starting with my eating disorder. The number on my scale will no longer define my worth — my scale has been shipped to my husband! "I don’t want to miss the love I was made for — the love bleeding on Good Friday, then rising on Easter morning." Me too, Jennifer! Me too! Today marks the beginning of my first Lenten journey. Today I begin a journey towards freedom. I am PreApproved by God. I am loved by God. I already have the only approval I need. Duane Scott of Scribing the Journey recently wrote on his Facebook page, "The hardest part of writing is penning the first sentence. From there on, it’s a wild and dangerous fight to the end." Sharing his quote sounded like a wonderful way to begin this post when I have no idea how to begin. I’m sitting at Panera Bread eating a chicken and avocado salad (which is way too big, by the way) and drinking a much needed vanilla latte. I come here to get away from the quietness of my home. I desperately miss my husband. I miss him so much it hurts. It’s snowing again. It looks beautiful but it feels like added weight I can no longer carry. "If we let him, God will lighten our load, but how do we let him?" He invites and old friend to show us – the Twenty-third Psalm. This book by Lucado is Hope and Encouragement from Psalm 23. I find it ironic my husband would send this book home. It was included in a package he mailed home to free up needed space in his small living quarters. It upset me when I first saw the book in his box of stuff. I worry about him being drawn away from God while he's away even though he has not given me a reason to worry. Maybe God knew I needed the book more than my husband. The introduction of the book includes the words from Psalm 23. They are familiar words even though I’m a somewhat new Christian. As Lucado writes, "Do more beloved words exist?" As I watch the snow come down at a faster speed my brain tells me I should make my way home – my heart says, God, restore my soul. We need a God "who, while so mind-numbingly might, can come in the soft of night and touch you with the tenderness of April snow. You need Yahweh. And, according to David, you have one. He is your Shepherd." I’m trying hard to hold back the tears. I've done my share of crying over the weekend. The tears have been rather uncontrollable. Loneliness consumes me. I feel ill-equipped to handle the curve balls being thrown my way. I want God to make it all stop but that is not what he promises. But He promises to lead me out. "Your shepherd knows that you were not made for this place. He knows you are not equipped for this place. So he has come to guide you out. 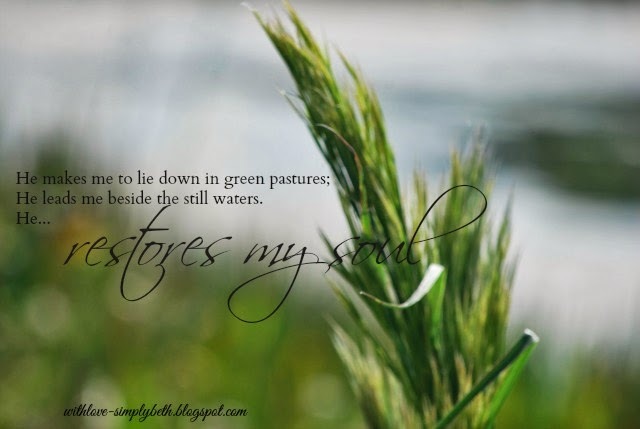 He has come to restore your soul..."
I don’t doubt my Shepherd will come to lead me out. He always comes. It may not always be in the soft of night but He comes. Most times He comes when I take this pen and write the first sentence that was so hard to write. When I write I find Him. I never really lost Him; I only took my eyes off of Him. These tears may fall but they remind me to lift my eyes up to the sky and ask Him to give my weary soul strength. As I look up with my eyes focused on Him I’m captivated. I’m captivated by all He is – beyond anything I will ever fully understand. Captivate us Lord Jesus, with You"
These tears may continue to fall but they draw me closer and closer to Him. So fall if they must because all I want – everything I need – is Him. He is the one who restores my soul.